Go on a tour with a cowboy poet, admire colorful hot air balloons floating into a wide-open West Texas sky, and come face to face with an enormous black rhino named Macho. Enjoy these, and many other unique experiences, when you visit Abilene this fall. Located less than three hours west of Dallas, the “Storybook Capital of America” offers a quaint, and thoroughly Texan, getaway from the big city along with its own range of unique experiences throughout the year. Whether you’re looking for the next destination for your fall road trip or somewhere fun to go with your family, your search is over. 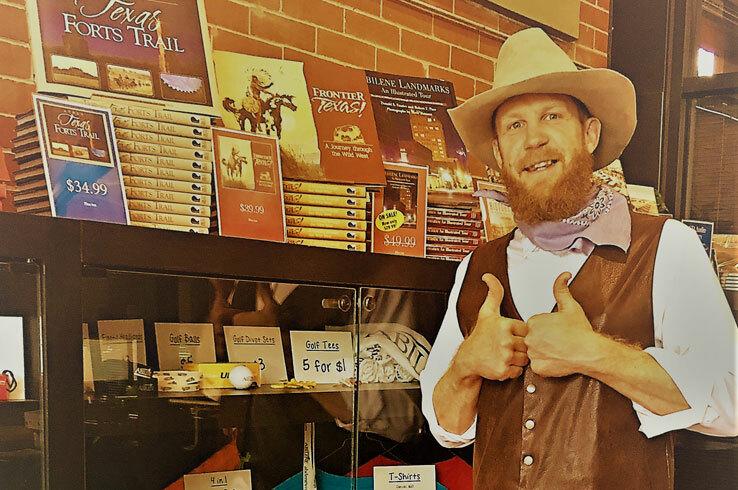 Tour Texas Tip: Get your hands on the Abilene Round Up Pass and you’ll save on entrance fees to six of the town’s major attractions, including the Abilene Zoo, National Center for Children’s Illustrated Literature, and The Grace Museum. Fall is festival season here in Abilene, with each event offering something different. 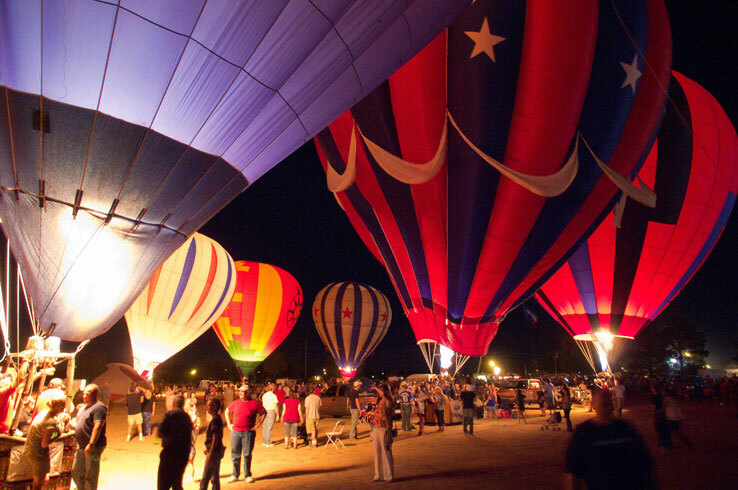 Watch as dozens of hot air balloons glide during the Big Country Balloon Fest (Sept. 28 – 29). Ride in one yourself, learn how to make a kite, and take in all the family-friendly entertainment and live music offered throughout both days. If you love great eats, the West Texas Food Truck Festival (Oct. 6) is where you need to be. Savor delicious fare made by the best food trucks in the area while you listen to live bands on two concert stages. This year's festival is headlined by 38 SPECIAL, a celebrated rock band known for such hits as Caught Up in You and Hang on Loosely. For you cinephiles out there, the 24 FPS International Short Film Festival (Nov. 2 – 3) is a must. Watch short films made by student and independent filmmakers from around the world. Stick around after each screening to hear the filmmakers delve in to the art and craft of making short movies. The festival is held at the historic Paramount Theatre, and tickets are available here. 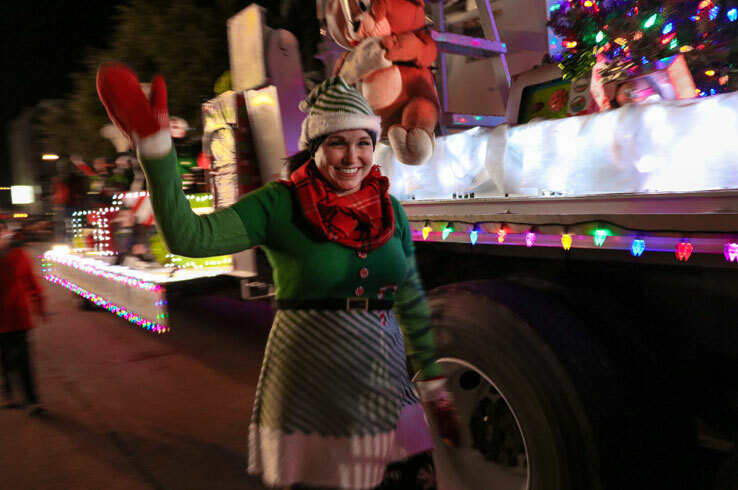 Grab your Santa hat and head to downtown Abilene for enough Christmas cheer to last you for a decade! The holiday season is serious business here, with much of the festivities centered around the annual City Sidewalks celebration (Nov. 26 – Dec. 1). It all kicks off with a tree lighting ceremony on the first day, while the second includes an extravagant Christmas parade you won’t want to miss. Come on Wednesday for the sidewalk caroling and more festive fun, while Thursday is the day to browse the downtown area’s art galleries and museums as they have extended hours. If you’re looking to get an early start on your Christmas shopping, find some treasures at the pop-up market on Friday. Stick around for the pub crawl and a special walking tour of the downtown area’s decorations. Bring your running shoes for the 5K Reindeer Run on Saturday, which is followed up by concerts by the Abilene Philharmonic Orchestra and wassailing (also known as drinking as you stroll around spreading joy and merriment). There will also be photos with Santa, live music, and more entertainment throughout the week, making this a Christmas tradition you’ve got to check out. When you need to just get away, there’s nothing quite like what you’ll find at Abilene State Park. 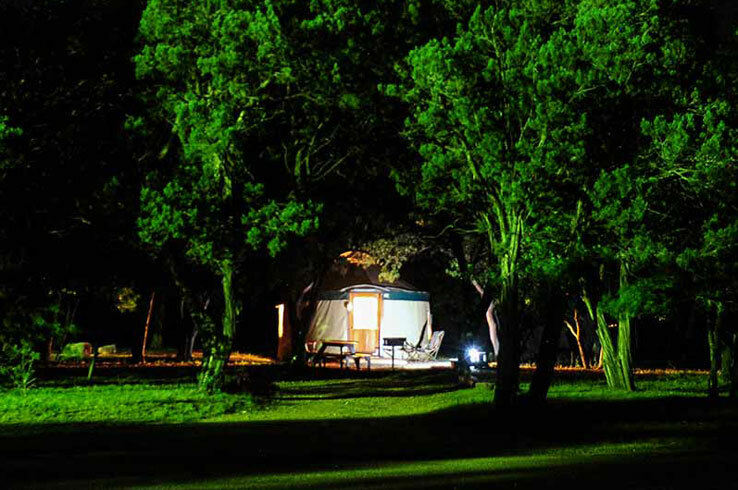 Occupying that space between primitive camping and glamping, the park’s yurts offer one of the most unique places you can stay in a state park. These yurts can accommodate up to five and eight people and feature some creature comforts you wouldn’t have with a standard tent, including air conditioning, electricity, interior lighting, and a refrigerator. You even get your own grill right outside for when it’s time to cook up something tasty. Wake up in the morning and you’ll have first dibs on exploring the park’s hiking trails, fishing on Lake Abilene, and everything else the park has to offer. For a more urban experience, stay at one of the Sayles Ranch Guest Houses. Ranging from one-bedroom units to an elegant four-bedroom house featured in Southern Living Magazine, each of these guest houses provides a unique getaway in Abilene. Some even have fireplaces ideal for cozying up when the fall air turns chilly. Get up close and personal with a pair of camels, feed a giraffe by hand, and meet a real-life black rhino. 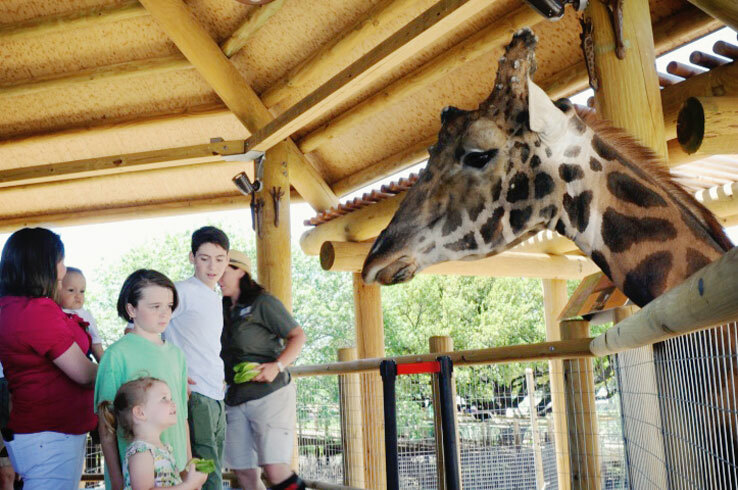 These are just a few of the experiences that await on one of the VIP tours at the Abilene Zoo. While most zoos offer behind-the-scenes tours, few are as affordable as the Abilene Zoo’s guided excursions. Learn how the zookeepers care for the camels, giraffes, reptiles, and rhinos, and you’ll have the chance to interact with them directly. Choose the Rhino Encounter and you can even meet and hand feed Macho the 2,500-lbs. rhino, an experience that you probably won’t have every day. Fun and educational for folks of all ages, a VIP tour at the Abilene Zoo is a fantastic thing to do with your family this fall. Native Americans, buffalo hunters, the 19th century expansion of the railroad, and the cattle industry are all part of Abilene’s history. See how the city’s past still informs its present on The Downtown Abilene Walking Tour led by a cowboy poet. Yes, you read that right. Wander from one site to another and learn a thing or two as Gus McDusty recites humorous and informative poetry, and a few jokes along the way. You’ll even get to enjoy complimentary samples from Abilene’s local eateries, a great way to get a taste for what the downtown area has to offer. For a self-guided adventure, follow the Historical Downtown Walking Tour to significant landmarks like the T & P Depot, The Grace, and the Cypress Building that was originally built in 1891 as the Windsor Hotel. Both tours immerse you in Abilene’s history and enable you to appreciate its charming architecture, so you can’t go wrong with either one. Imagine a place where the Cat in the Hat stands pat, the Man in the Moon looms, and Yertle the Turtle poses like a crepe myrtle. Where else could you find these larger-than-life characters, plus 21 others, than the Storybook Capital of America? Downtown Abilene is home to the largest collection of sculptures inspired by timeless children’s stores, including The Lorax, Green Eggs and Ham, and Stuart Little. Quite a few of these eccentric sculptures reside in The Adamson-Spalding Storybook Garden, an essential stop on your walking tour of the area. Of course, no visit to the Storybook Capital of America is complete without a visit to the National Center for Children’s Illustrated Literature. See works by famous children’s book illustrators and let your kids show off their inner artists every Saturday afternoon. 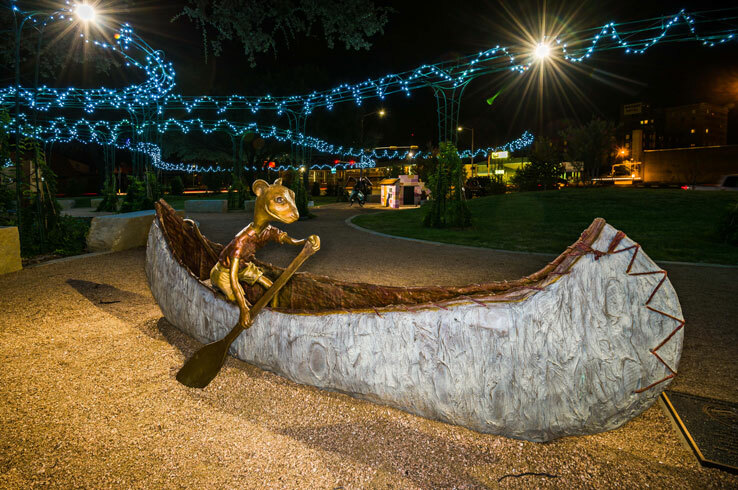 So, whether you have children or you’re still a kid at heart, check out Abilene’s whimsical side while you’re here. Fall in Abilene is marked by ample sunshine and temperatures no greater than 80 degrees. What better season to hit one of the best public golf courses in Texas? Meandering through 220 acres of verdant terrain near Lytle Creek, Diamondback Golf Club tees up 18 holes of magnificent golf that will put your short and long game to the test. 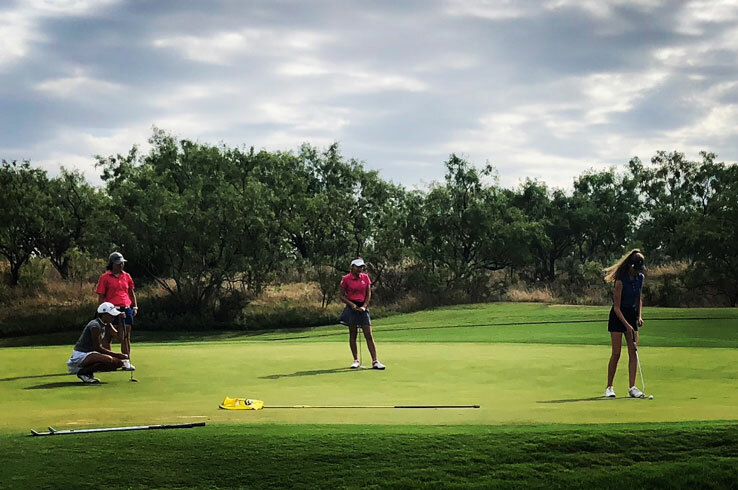 The sand traps, water hazards, and sloping fairways will have you reaching for all the clubs in your bag, while the abundance of mesquite trees provides a scenic backdrop. Diamondback was founded by former Master’s champion and Texas Sports Hall of Fame inductee Charles Coody, who still owns the course. Ready to play? Tee times at Diamondback Golf Club are available on the course’s website. If you’re looking to earn even more bragging rights, show off your short game at Play Faire Park. As the oldest continuously operated miniature golf course in Texas, Play Faire Park is a real throwback. A staggering 36 holes with loops, moving wheels, and other obstacles will put a smile on your face. Just make sure to pick the right color of ball, if you’re superstitious. With its one-of-a-kind fall festivals and wealth of other things going on, fall is a fantastic time of year to visit Abilene. Plan your next visit here.